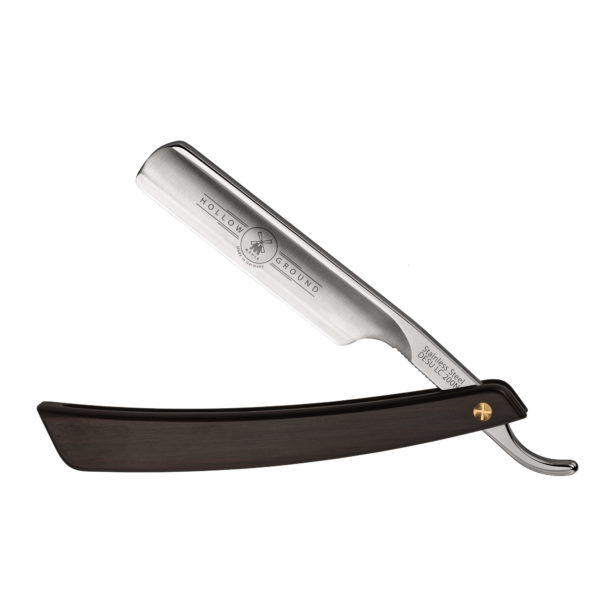 The Traditional shaving Straight Razor by Muhle, Is certainly something you will always keep. Also perhaps pass on to your son an heir. This 5/8 ” cut throat, Is stainless steel which Is easier to sharpen than a carbon. The rounded toe will give you a safer shave than a spike toe. 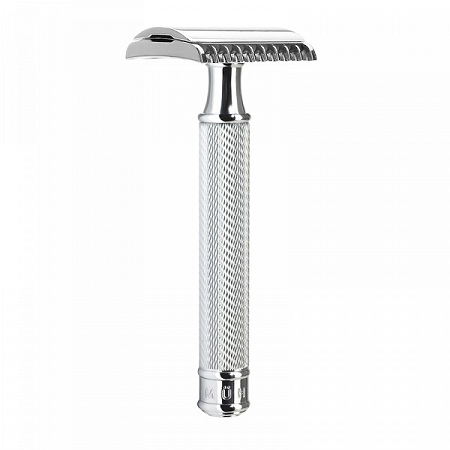 The Carre handle really finishes off the design with It’s sleek tapered lines. At Edward’s we want you to get the best out of a razor, some companies will sell you a straight razor under false pretenses. You will need a strop. We have a reasonably prized strop, that It half canvas. So you can employ our trusted technique. For stropping In a traditional shaving sense, I recommend stropping 8 on canvas then 8 on leather and repeat. On a tight strop do not twist the blade to make a cool noise, you aren’t In a western. The Traditional shaving Straight Razor by Muhle, will come almost shave ready. You will need to perform some light stropping prior. But no block work. Traditional shaving with a straight razor, Is something that Is close to Edward’s heart. 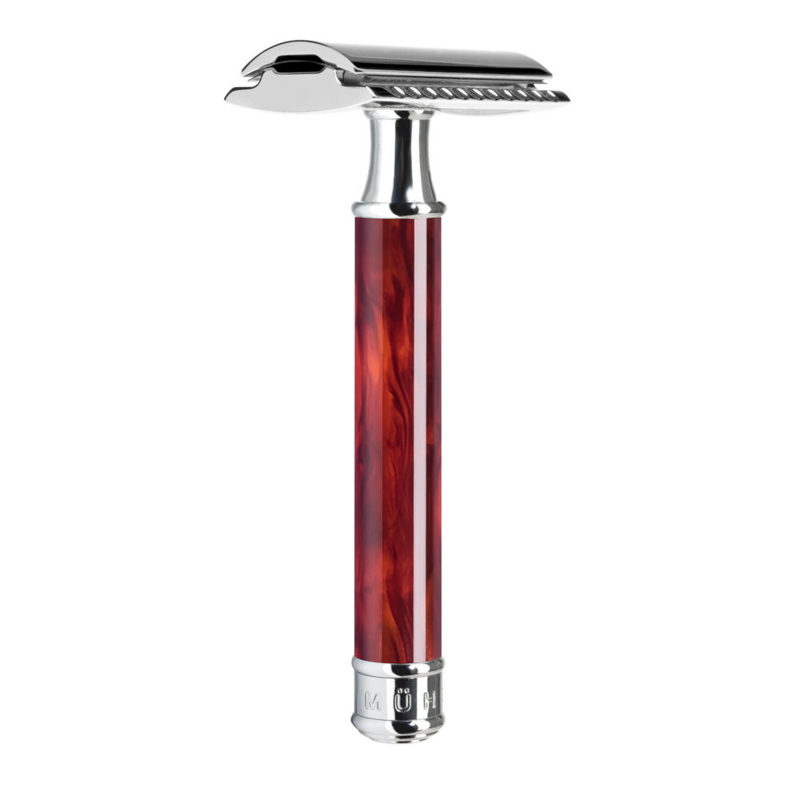 We are very experienced In the restoration of Vintage razors also. A straight razor Is a Joy to use. 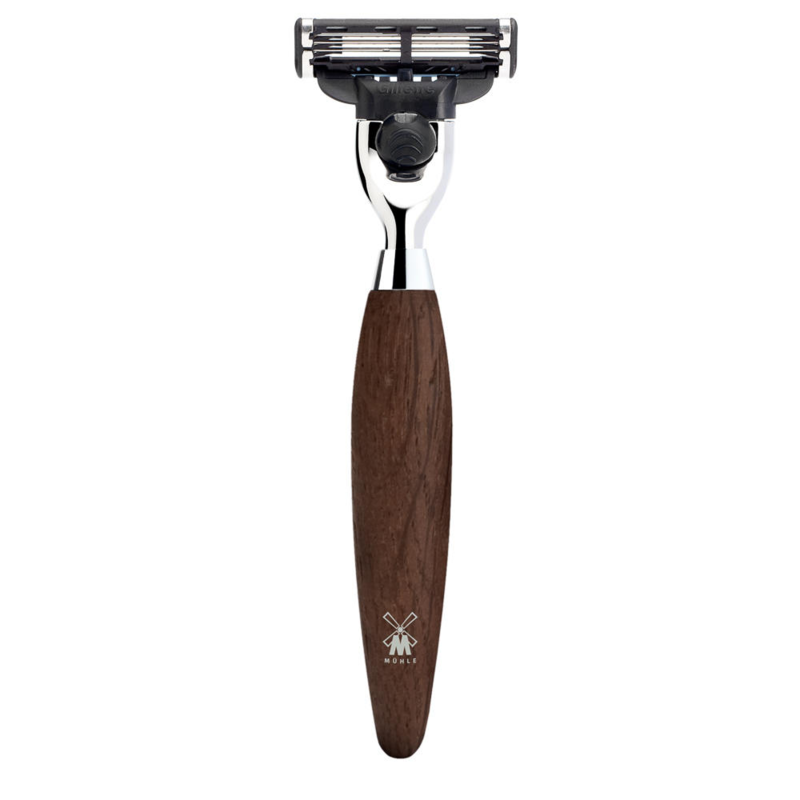 It Is nice to see a straight razor from Muhle, as they are predominantly a safety razor firm. At Edward’s we will guide you through any questions, you may have regarding straight razor shaving. Some people are afraid of using one, these people are no more than cowards. I’m certain you however are not as you have read thus far. I can assure you that a straight razor, Is very safe due to the length of blade. Just don’t use one driving or after a stag do. I hope this has been relatively concise and we look forward to your purchase.